Infections can cause life-threatening health complications – especially for the elderly. According to the American Academy of Family Physicians, infections are the third leading cause of death among people aged 65 or older. If your loved one suffered an infection due to abuse or negligence at a nursing home, contact the Rudolph & Hammond Law Firm. A personal-injury attorney in Phoenix can gather evidence, structure your claim, handle settlement negotiations and litigate your case if it goes to court. Skin becomes inelastic and less resilient as it ages, which affects its ability to resist disease and heal. 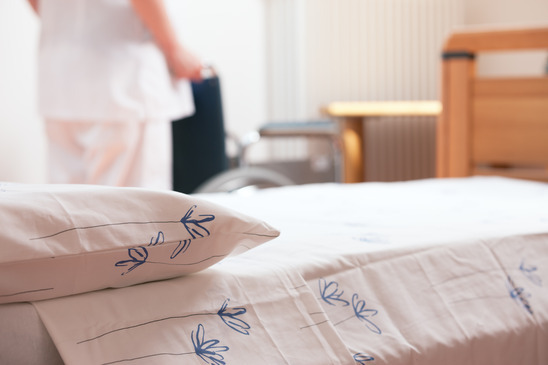 Pressure ulcers, shingles, Methicillin-resistant Staphylococcus aureus, and even bacterial or fungal foot infections can easily spread through populated nursing homes. Extreme itching, lesions and pain are typical of skin infections and diseases. Most are easy to treat, but if left unattended, they can cause disfigurement and life-threatening complications. UTIs are the most common nursing home infection. Residents with diabetes and those who use catheters are at the highest risk of UTIs. According to the U.S. National Library of Medicine, UTIs affect women twice as often as men. Urinary incontinence, irritability and confusion are common symptoms of UTIs. 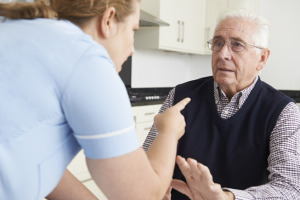 Nursing home staff should be concerned if they notice behavior changes from a patient who cannot communicate. Elder care facilities often have several patients with gastrointestinal issues at any given time. These infections are very common. They can also be deadly. Age-related diseases can slow the production of healthy gut bacteria. This puts elderly citizens at a higher risk of contracting gastrointestinal infections. If a resident is in pain or shows signs of nausea, diarrhea, fever or dehydration, then a GI infection may be to blame. Pneumonia is often fatal – particularly if treatment begins too late. As such, it is critical to diagnose bacterial pneumonia as early as possible. According to the AAFP, roughly 60 percent of seniors suffer bacterial pneumonia every year. There are several reasons why senior citizens are vulnerable to pneumonia. Risk factors include lower lung capacity, age-related health conditions, and long-term exposure to environmental pollutants. If your loved one shows signs of weakness, confusion and delirium, then he or she may have pneumonia. If your loved one was the victim of nursing home abuse, contact the Rudolph & Hammond Law Firm. An Arizona nursing home abuse lawyer can assess your situation to determine if you have grounds for a claim. You or your loved one may be entitled to compensation for medical expenses and other damages, and taking action could save other residents from the same mistreatment. Call 480-951-9700 to schedule a consultation.